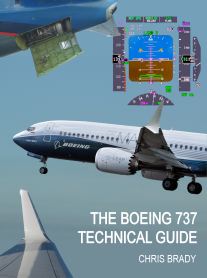 The 737 Joint Surveillance Target Attack Radar System, or JSTARS, is Boeings contender to replace the U.S. Air Force's existing E-8C which is based upon the 707 airframe. In the same way that the Signals Intelligence (SIGINT), was to have replaced the EP-3E ARIES II electronic intelligence aircraft. In Boeings own words: "The Boeing Joint Surveillance Target Attack Radar System (JSTARS) to replace the U.S. Air Force's existing E-8C Joint STARS fleet provides a solution above and beyond those found with the competitors. With 65+ years of experience integrating military capabilities on commercial aircraft and building on the most successful platform in aviation history, the 737, Boeing's JSTARS offering capitalizes on a global infrastructure including support, parts, training, maintenance and sustainment. Other benefits include right size, weight, power and cooling (SWaP-C) for current and future mission requirements, reduced fuel consumption, in-flight refueling, manufacturing efficiencies, and increased availability rates. In addition, Boeing’s JSTARS is the lowest cost to own and operate—50% less than smaller business jets." Unfortunately for Boeing Secretary of Defense Mattis, speaking at the Air Force Association conference in September 2017, questioned the whole way that JSTARS is currently conducted. He basicly questioned the wisdom of having a large, vulnerable, integrated platform that has a sensor and air battle managers onboard (like the E-8C) in a war zone or if they should switch to drones collecting the data and transmitting it back somewhere safe for processing. The present JSTARS E-8C fleet is due to begin retiring its oldest airframes in 2023, if they dont sell them to South Korea first.